Dr. Rowe is a Professor in the Department of Population Health and Reproduction, School of Veterinary Medicine, University of California, Davis. 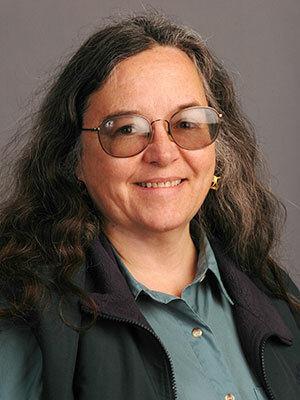 She holds D.V.M., M.P.V.M., and Ph.D. degrees from the University of California, Davis. Dr. Rowe is a clinician on the Livestock Herd Health &amp; Reproduction Service at the U.C.D. Veterinary Medical Teaching Hospital. Dr. Rowe is the past-president of the American Association of Small Ruminant Practitioners. She raises Toggenburg dairy goats, serves on the American Dairy Goat Association Board of Directors, judges dairy goats and serves on ADGA committees related to production, functional type and judging. Dr. Rowe has current research interests in CAEV, infectious abortion, reproductive performance and small ruminant drug approvals. This session will focus on management strategies that practitioners can teach their clients to prevent clinical pregnancy toxemia in meat and dairy goat herds. Understanding the role of concurrent diseases, reproductive management including routine ultrasound, feeding management including body condition assessment and feeding practices, and incorporating social behaviors into routine management strategies will all be discussed.